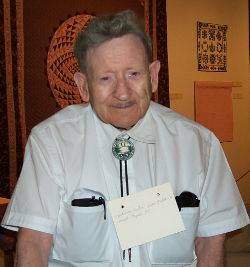 Rodney Carter, 90 of Sioux Falls, SD, passed away on Monday November 20, 2006, at Sioux Valley Hospital. Rodney Ray Carter, son of William and Elsie (Tyler) Carter, was born on October 7, 1916, in Sioux Falls, SD. He grew up there and attended school at Whittier. 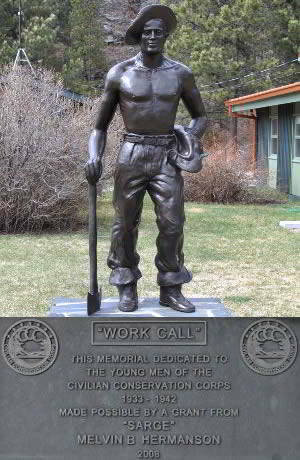 After school, Rodney joined the Civilian Conservation Corps in the Black Hills from 1932 to 1934. Because of an injury that would not allow him to join the armed forces, Rodney traveled to Bremerton, WA, where he worked on war ships as a welder during WWII. He remained working at the shipyards until 1968. After the shipyards, he ran an Amsoil dealership and provided mechanical work at the dealership until retiring in 1986. After returning to Sioux Falls in 1986, Rodney was united in marriage with Clara Beck on September 15, 1986, at St. John American Lutheran Church in Sioux Falls, SD. The couple remained active in retirement, traveling to many places and serving at the Senior Center and at St. John American Lutheran, where they were both members. A majority of their spare time was spent dancing with the Golden Age Dance Club. Clara passed away on October 28, 2002. Rodney was a member of the Golden Age Dance Club, the NAARF, the CC Boys, a program director for the National Retired Federal Employees, the Senior Center, and St. John American Lutheran Church. Rodney was an avid conversationalist and liked attending social functions and activities. He had a passion for dancing, enjoyed taking pictures, and was a connoisseur of foods. Later in life, Rodney discovered the magic of spending time with family during the holidays and held a special place in his heart for these times. Grateful for having shared his life are his sister, Ellen McCormick, Federal Heights, CO; His family, Gordon Beck and his wife Eleanor, Sioux Falls, SD, Carmen Sylvester, Aurora, CO, Barbara Peterson and her husband Richard, Sioux Falls, SD, Kay Stephenson and her husband Marvin, Sioux Falls, SD, and a host of other relatives and friends. Rodney was preceded in death by his parents; his wife Clara; a sister, Evelyn; and three brothers, Larry, Merle, and Alvin Carter. Visitation was Friday November 24, 2006, at Miller Funeral Home, 13th & Main. Funeral service at St. John American Lutheran Church on Saturday November 25, 2006.